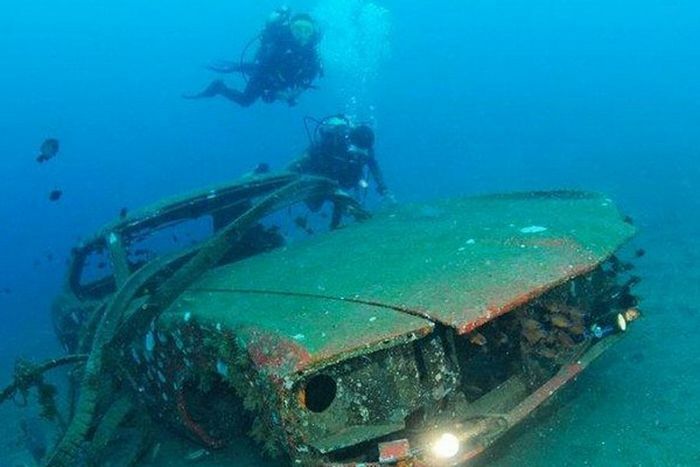 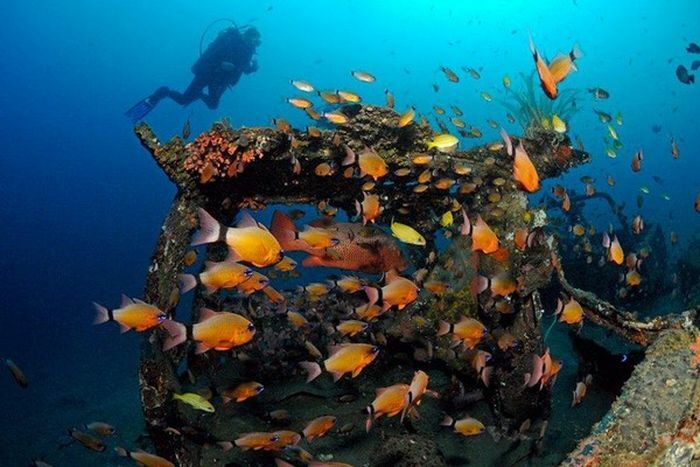 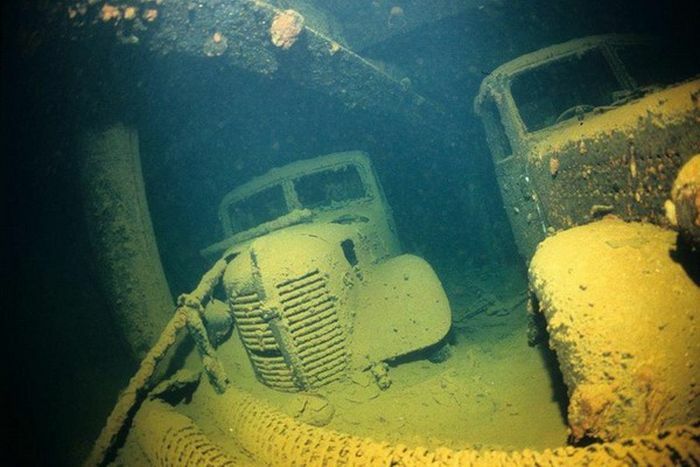 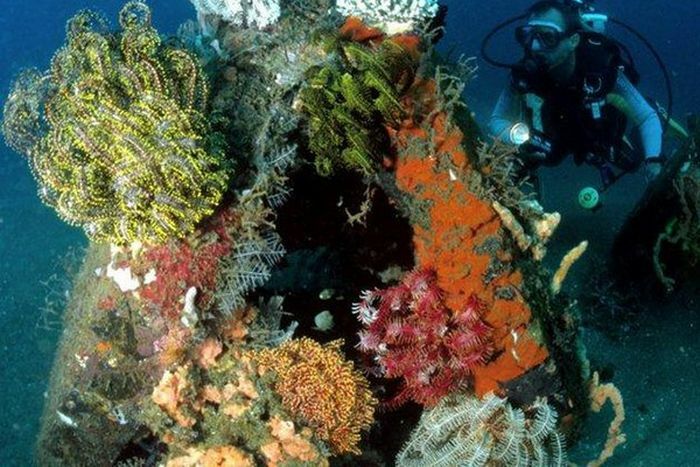 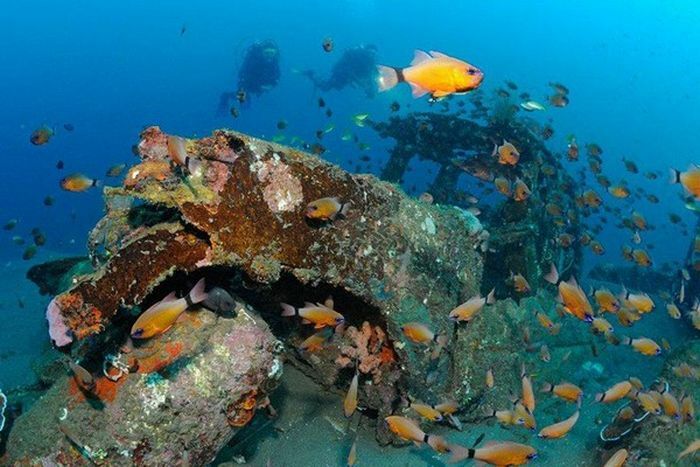 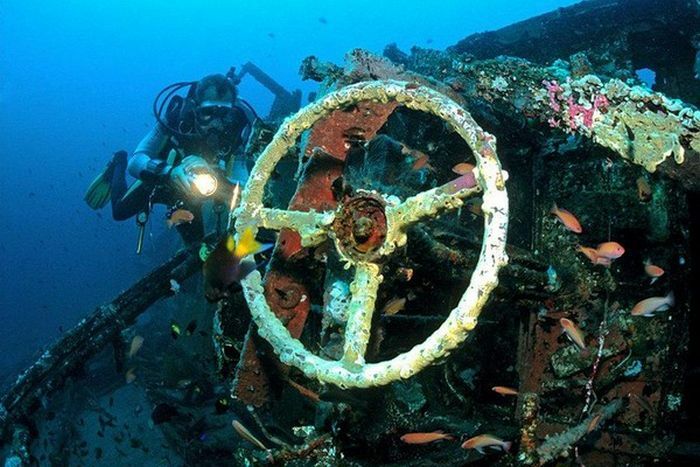 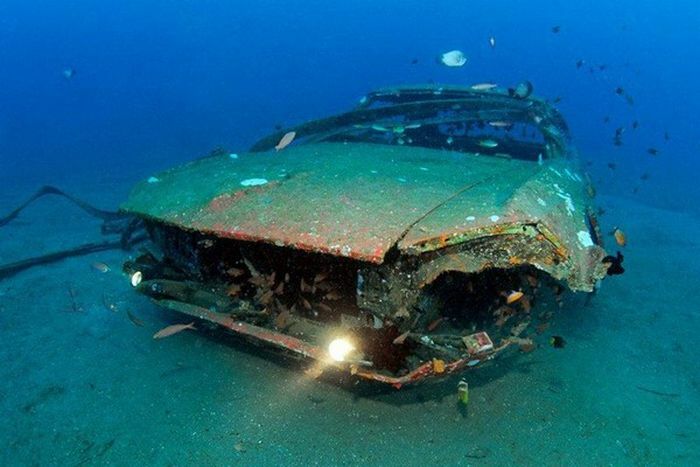 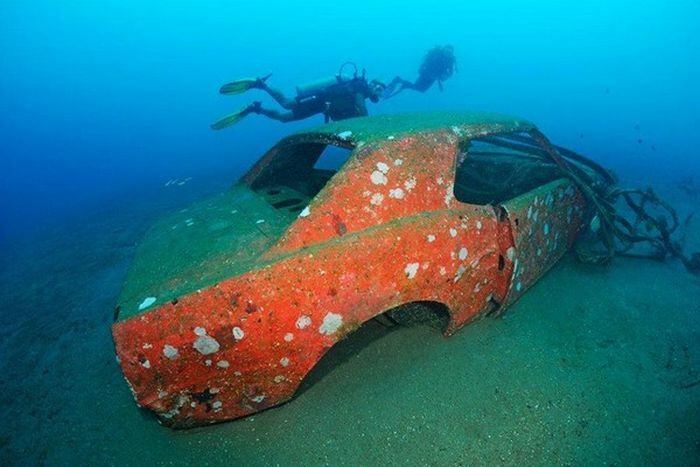 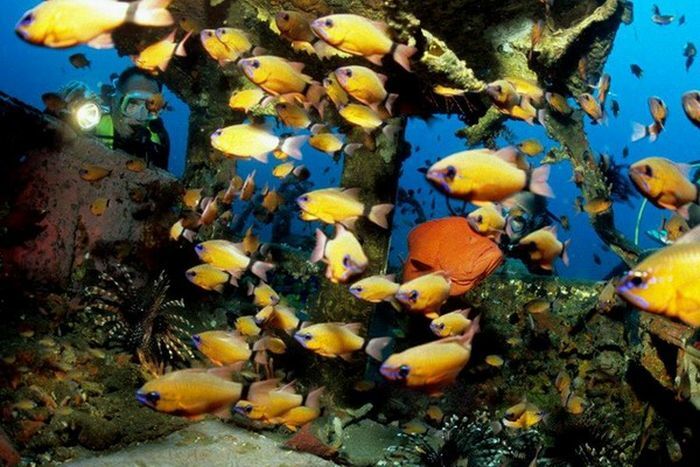 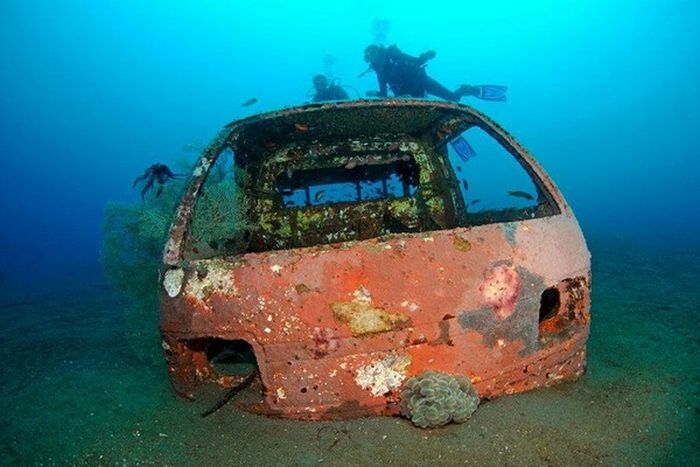 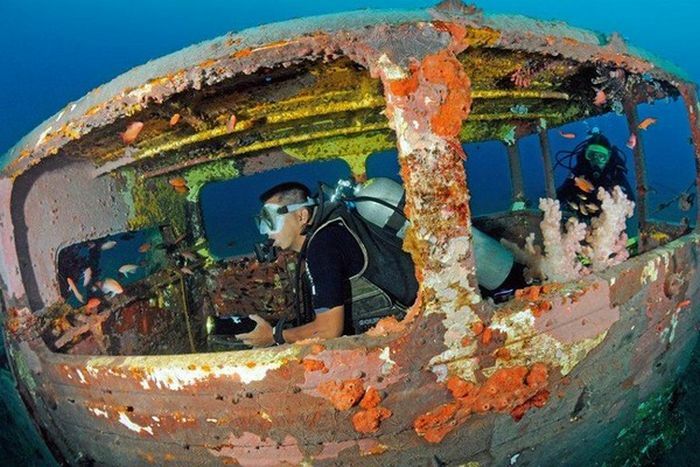 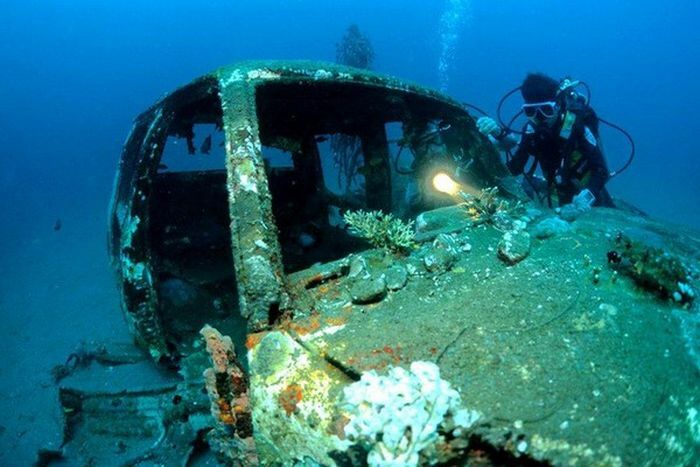 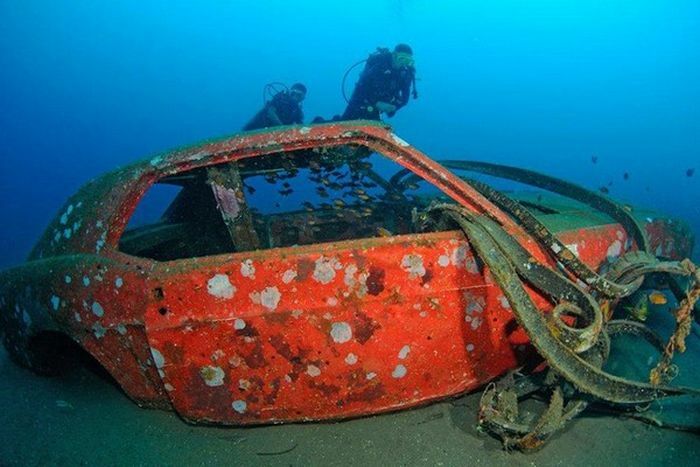 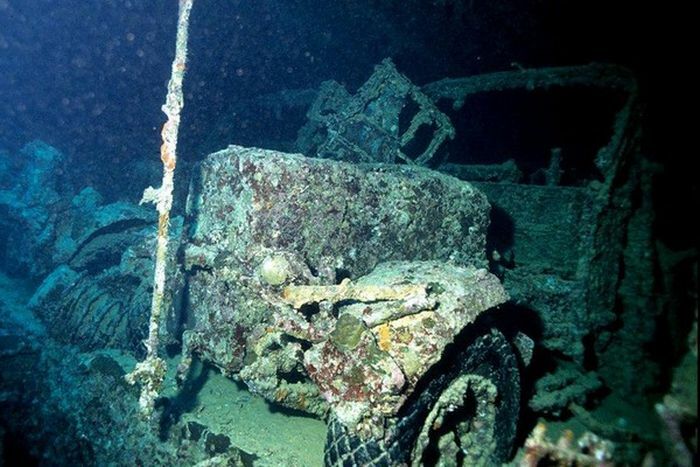 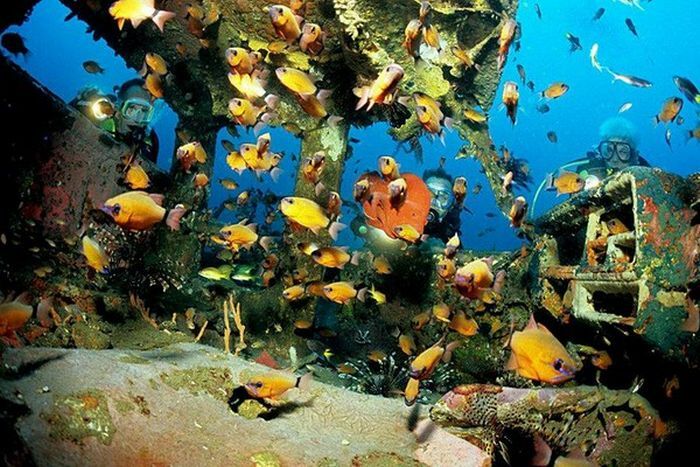 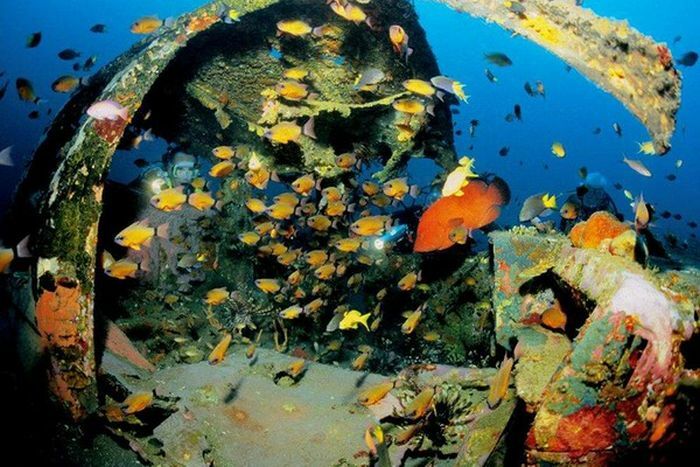 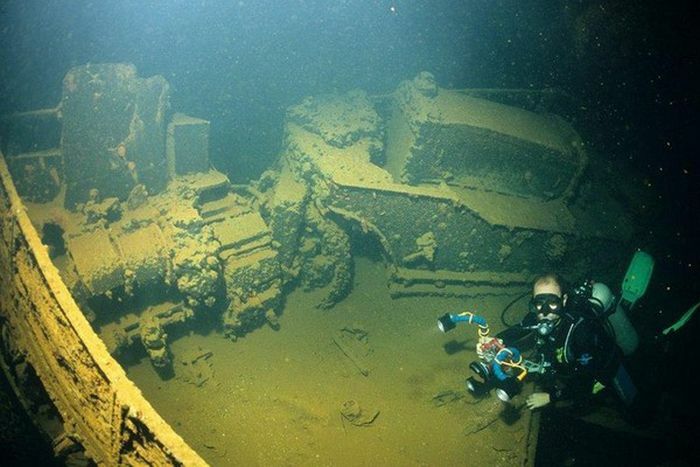 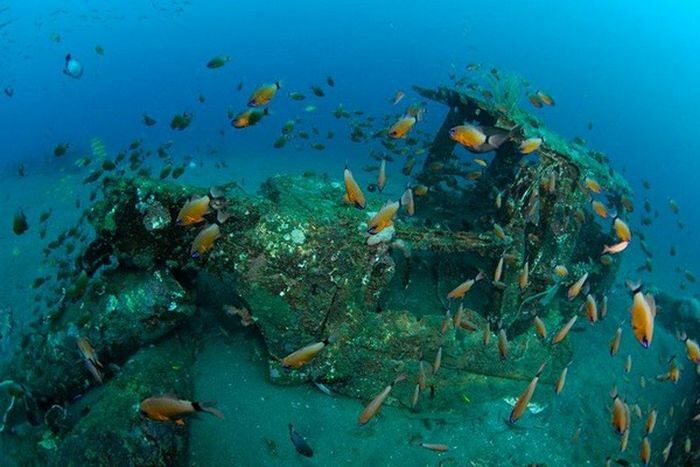 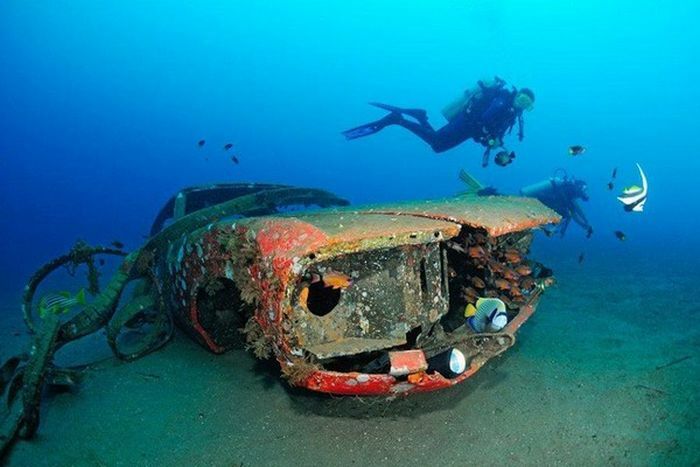 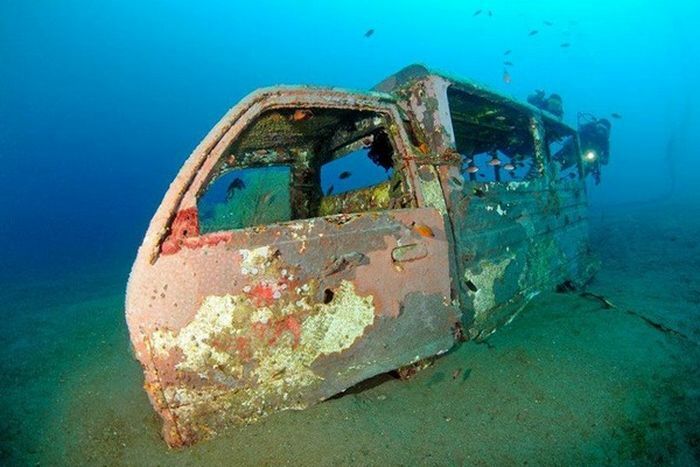 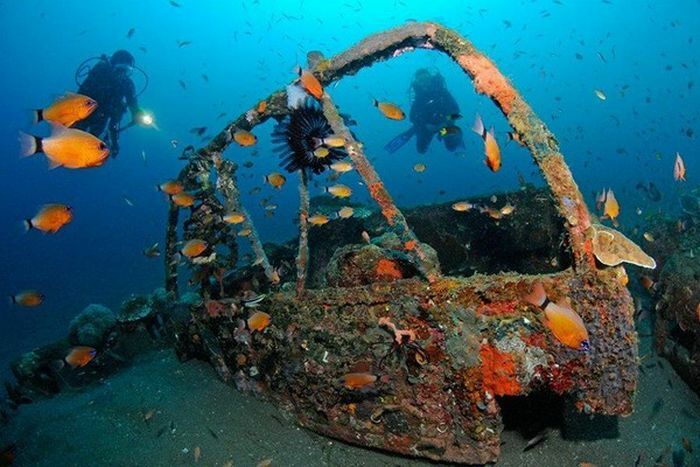 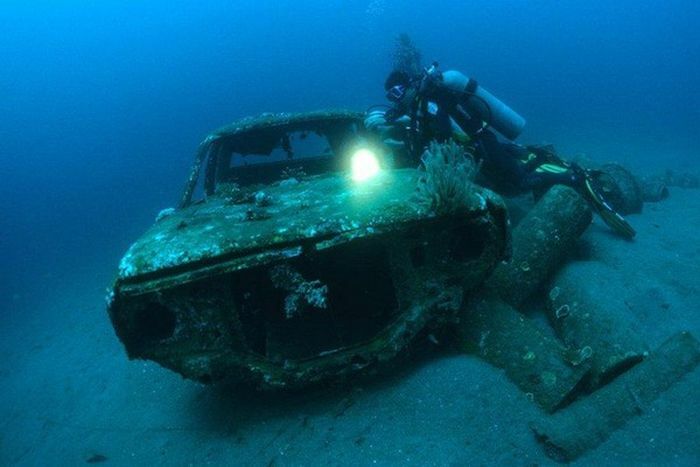 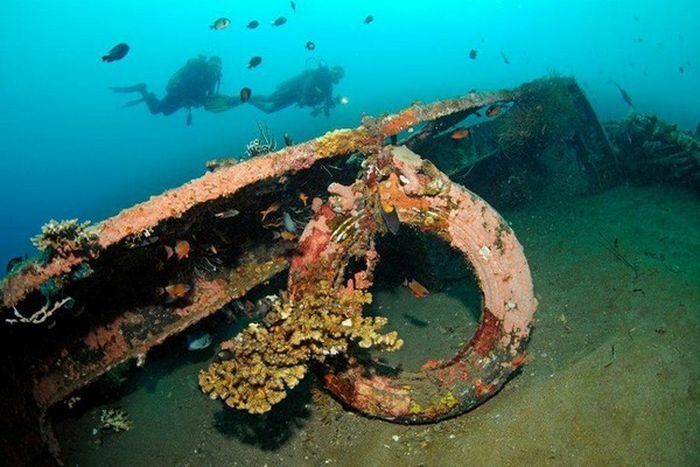 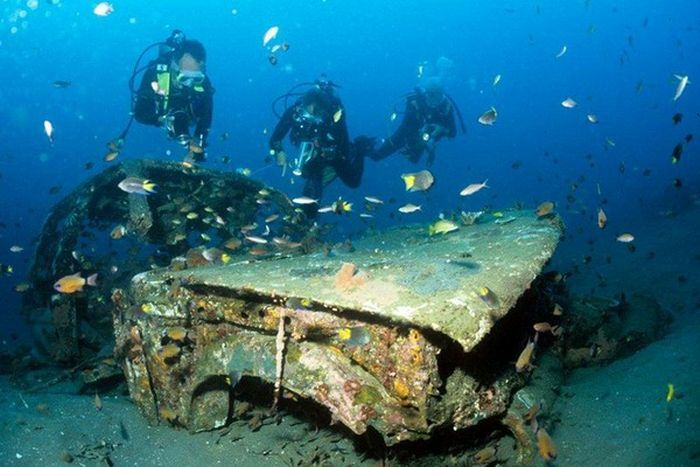 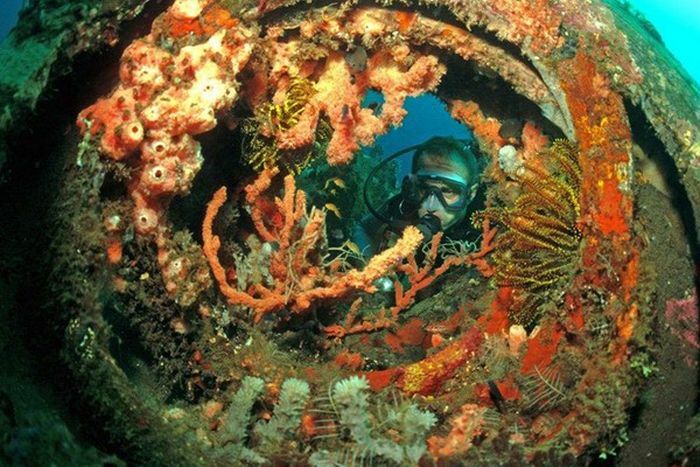 Photos of the artificial reefs made out of old vehicles. 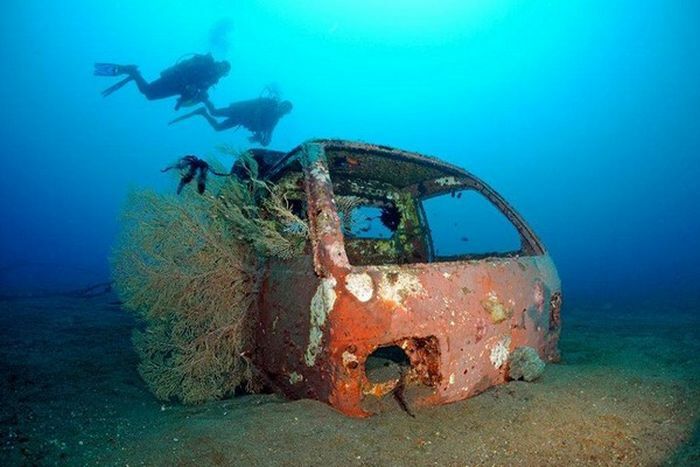 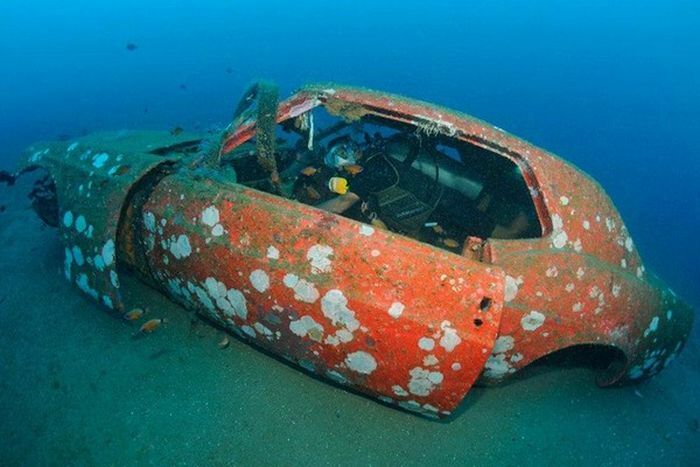 Cars are not environmentally friendly during their life time, but here they can become useful to the nature afterwards. 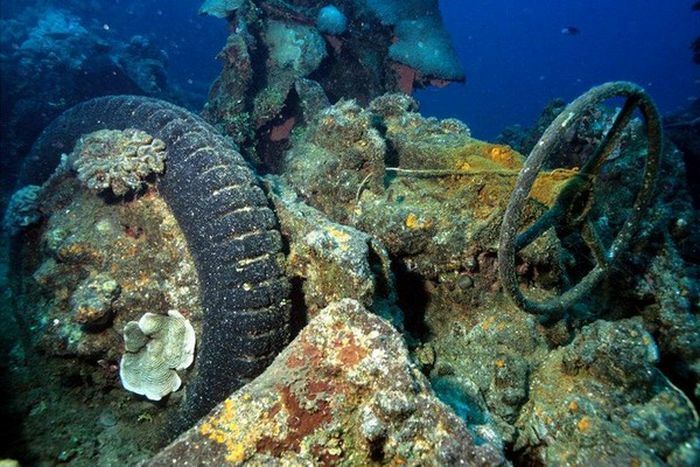 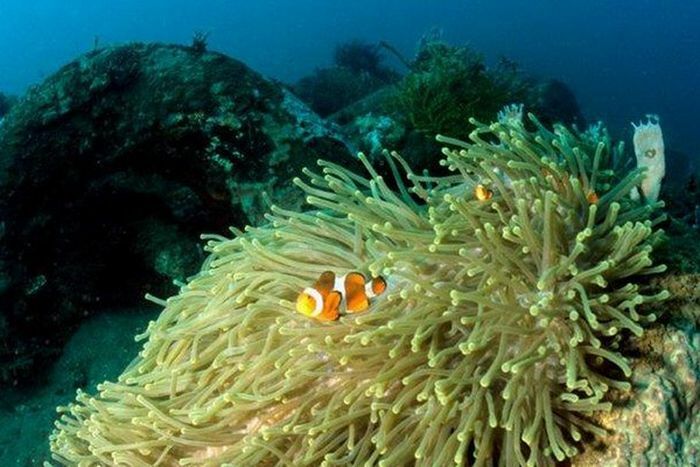 Nature hard at work covering up our crap, and doing a good job at it.